"The state-run tests of a new model of the planned cluster bomb with a weight of 500 kilograms (0.55 tonnes) equipped with self-guided damage agents kicked off in 2016. 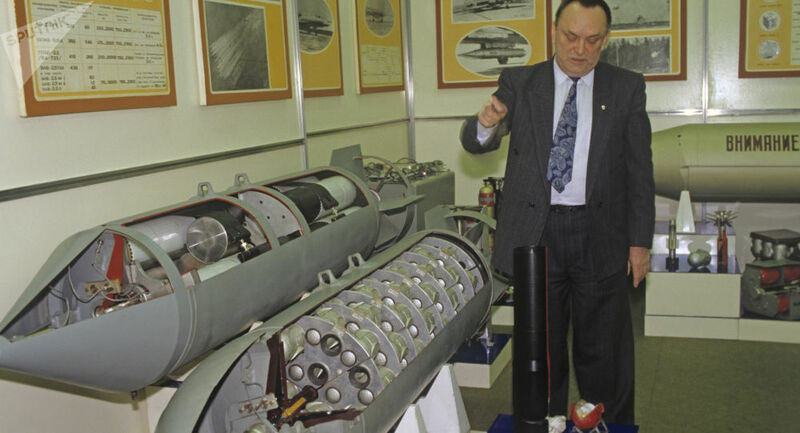 The state-run tests are being carried out in accordance with the customer's program and after their completion in 2018, the bomb is going to be put into service," Vladimir Lepin said. The Drel bomb will be used for targeting enemy vehicles, radar stations and command posts. For the first time, the project was presented at the MAKS-2015 air show and the name Drel was announced at the Army-2016 military forum. The Techmash concern is Russia’s largest munitions manufacturer specializing in the development and production of weapon supplies for the Russian Armed Forces.